Historical and theological scholars, as well as numerous Baptist pastors and laypersons, have long awaited this landmark resource. 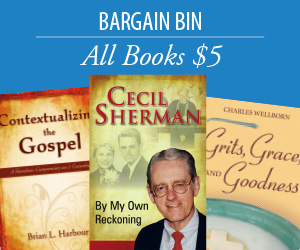 Bill J. Leonard, who ranks among the most highly esteemed contemporary Baptist historians, covers such topics as theories of Baptist origins, Baptist controversies, the formation of Baptist denominations, African American Baptists, Baptists' concern for the poor, and Baptist disciplines, worship, hymnody, and more. While thoroughly covering Baptists in the United States, Leonard also explores the history and development of Baptist faith and practice elsewhere in North America and in Central America, the Caribbean, Europe, Africa, and Asia. 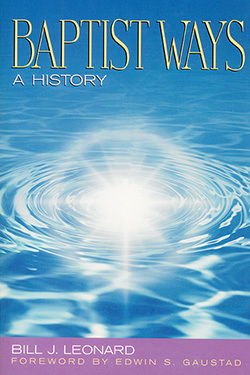 Baptist Ways promises to be the definitive resource on Baptist history for many years to come. Bill J. Leonard is dean and professor of church history at Wake Forest University Divinity School, Winston-Salem, North Carolina. He has held teaching posts at The Southern Baptist Theological Seminary, Samford University, and Seinan Gakuin University (Fukuoka, Japan). Leonard holds an M.Div. from Southwestern Baptist Theological Seminary and a Ph.D. from Boston University. He is the author or editor of thirteen books, including A Dictionary of Baptists in America and Christianity in Appalachia: Profiles in Regional Pluralism. "After many years of persistent labor, the result is now before you: a fresh and exciting new interpretation and presentation of Baptists worldwide. This panorama offers much to the fortunate reader: personalities (brittle and benevolent); movements (inspired and ill-humored); rapid growth along with— to be sure— rapid firing schism, missionary successes, and sacrifices; tradition and innovation; ecumenism arrayed against sectarianism; and much more."